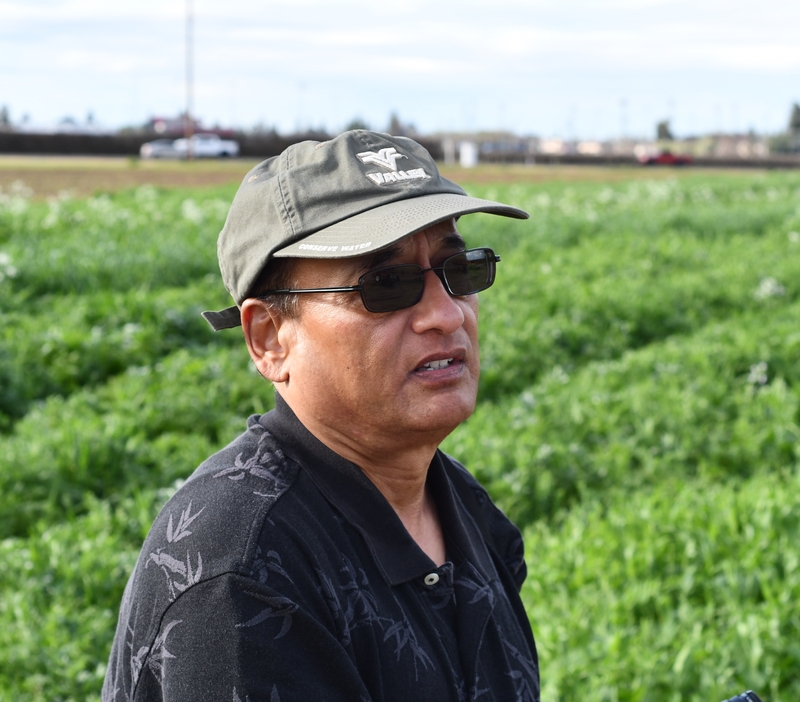 Professor and Department Chair, Anil Shrestha, at California State University, Fresno, is on his way to conducting a very nice, large-scale and comprehensive study of the ability of a cover crop roller/crimper to terminate several different cover crop mixes on the Fresno State campus during the 2018 – 2019 winter. His effort is part of the broader Conservation Innovation Grant project that he's involved in that has many farmer, private sector and other university partners. 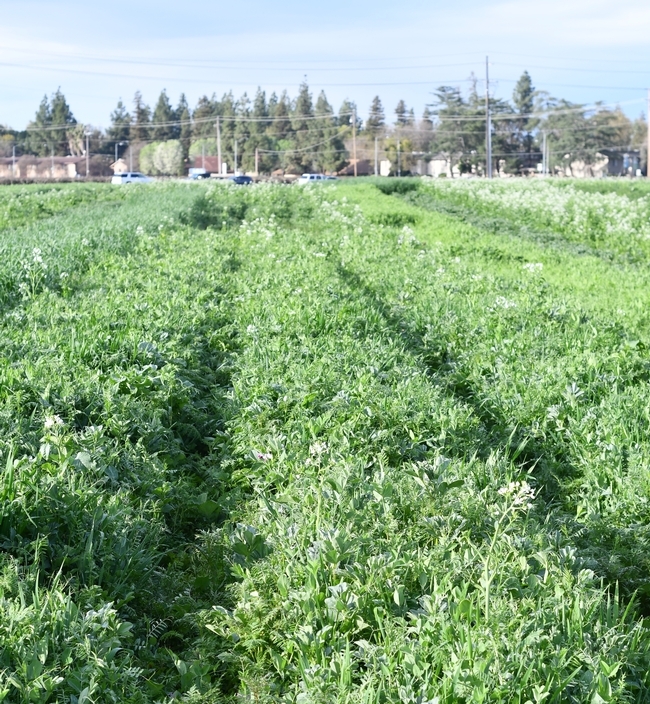 The project is investigating and evaluating opportunities for doing reduced disturbance organic production of vegetables at several sites in California. 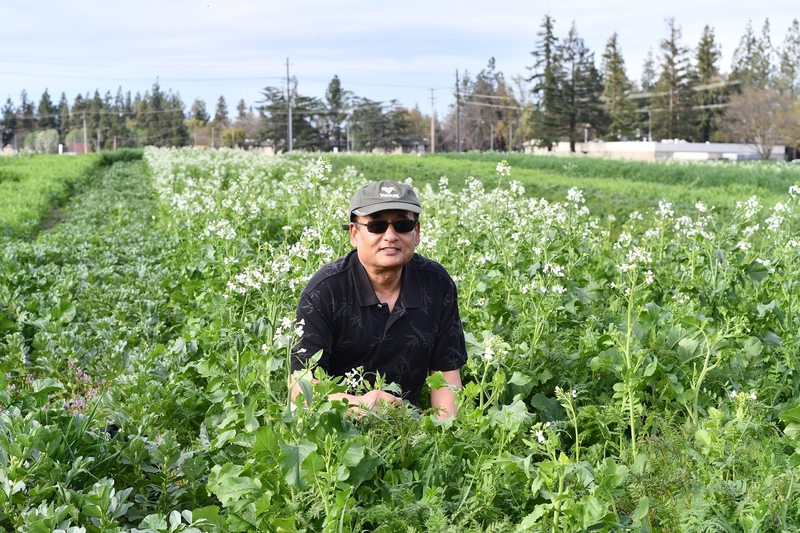 More than ten farmers from Meridian, to Capay, Esparto, Davis, Hollister, Madera, and Firebaugh are on board and are all working together to develop what they hope might be next generation production models for their farms. Last December, Shrestha seeded six different organic cover crop mixes on the Fresno State campus under his College's center pivot and as of March 20th, the covers are looking quite good. He's now gearing to test one of the project's roller/crimpers during the coming few weeks once his cover crops reach a more advanced maturity. He will evaluate the ability of the roller/crimper to effectively kill and terminate the cover crops without using any chemicals or other means. The roller/crimper will also be used at some of the farm evaluation sites during the coming weeks. Shrestha is planning to hold a public open house in conjunction with his rolling project.